Are you being denied the payments you are entitled to for working overtime? Perhaps, you have been underpaid – i.e. received payments that are below the minimum wage, then you should speak to an attorney as soon as you can. Some employers impoverish their employees and enrich themselves by seeking ways to deny them of the payments they are due. This they achieve by underpaying them and sometimes not paying them at all. 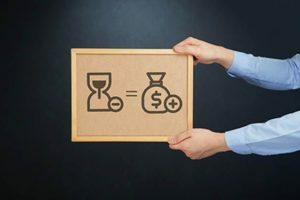 With the help of a qualified and experienced wage and hour attorney, you would be able to receive the payments you are entitled to as well as get compensated for the stress you have had to go through and your attorney fees. With the help of an expert attorney, justice will be served on your behalf. Rawa Law Group is a distinguished and revered legal power house here in California. For a little over two decades, we have been active players in the legal scene Of Alhambra. Our foremost Wage and Hour attorneys are set to go the distance on your behalf in ensuring that justice prevails. We will take advantage of all the resources in our command and craft a solid case for you so that you can be sure of victory. We understand the amount of courage that is required to take a case to court, and we are quite conversant with the reality of the financial burdens this may bring to you that is why we have resolved to not demanding any advance charge from you before taking on your case. We will only receive payments after we have won your case for you and brought you the compensation that you deserve.